Are you badass who feels spiritual, and yet doesn’t know how to express it without feeling flowery woo-woo? Today’s blog is about coming out of the spiritual closet and owning it completely. Being a spiritual badass can make dealing with woo-woo concepts frustrating at times. To build your empire on solid foundations, it’s important to develop the parts you love and get rid of the rest. Your vibe attracts your tribe. A classic saying that’s so true! Have you ever had those moments when something felt a little off about a person? I mean they appeared successful, and actually didn’t do or say anything wrong. But something just didn’t feel right. Or perhaps you’re doing EVERYTHING you can to sell your product and nobody is buying. You’ll almost always find there is something out of alignment whether it’s you don’t really want to sell this product (whether out of fear or ‘shoulds’) or you’re not comfortable with the price (you’ve jumped too high above your comfort zone. The same principles apply to you not showing up full as you are. If there are spiritual principles you agree with, then speak about those and leave the rest behind. Sharing what you stand for/against is called polarizing and it’s actually great for business – as long as it’s coming from an authentic place and not just for polarity sake. Another reason some badasses fear being spiritual is that they think it means doing nothing. The Secret copped so much flak because it made it sound like you just say what you want, believe it’s going to happen and then watch it miraculously appear. A Zen Hustler knows that it takes a combination of LOA AND action. Spirituality is something we all have even if it’s expressed individually with different belief systems. There is something greater than us. A force stronger than anything we can imagine. Combine this powerhouse with action and you’re kicking it girlfriend. You don’t have to decide between the two. The reason I created Zen Hustler was because I made the decision to own both sides of me. It’s time to create your own version of a Spiritual Badass. What Spiritual or LOA principles do you believe in? What principles do you feel are just fluff? How can you share this with your peeps? It’s time to own all of your Zen Hustling Spiritual Badass self! 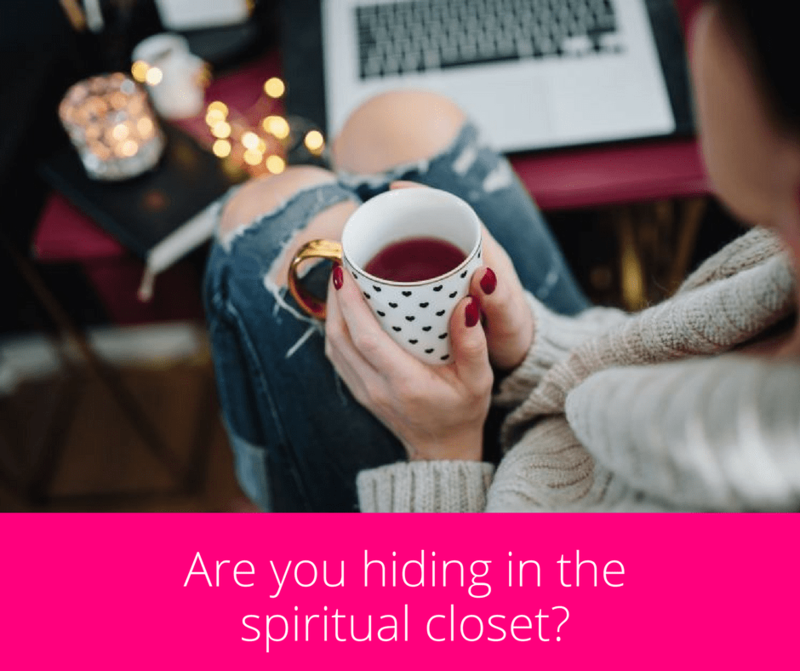 Let me know below, what’s one thing you’re going to allow out of the spiritual closet?